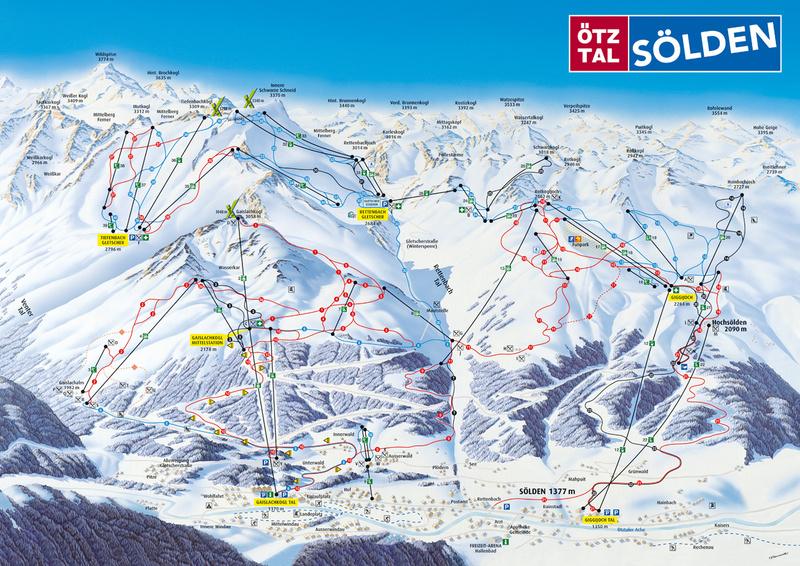 Sölden is one Austria’s more famous resorts and every winter queues of cars from all over Europe snake their way through the Ötztal to get there. And there’s no doubt that every one of them will find what they are searching for: from the beginners’ slope to the full-on 20-metre booter, there’s all kinds of riding here to appeal to anyone, whatever their standard of riding. The glacier means that you’re sure of snow in the wintertime, which is certainly a bonus for the weekend warrior, and the whole resort stays open till May. If you are an off-piste dude and are able to resist the temptation of the hundreds of watering holes and wake up before the drinking crowd, you’ll be rewarded by many sick backcountry spots (either starting directly from the piste or accessed by a short hike hike) that offer runs of up to 2000 metres vertical! But please check the conditions and equipment first with the Freeride Center Sölden. Sadly it seems that the well-known BASE Camp Sölden has suffered the same fate as many of the other summer camps across Europe, but you can still ride the glacier through the summer, apart from in July and August. Click to see the Sölden piste map bigger. Them Austrians sure love the afterski. More on the official Sölden website.